This Annual Meeting brings you the latest in veterinary diagnostic laboratory science, animal health, and disease regulation policy throughout the United States. 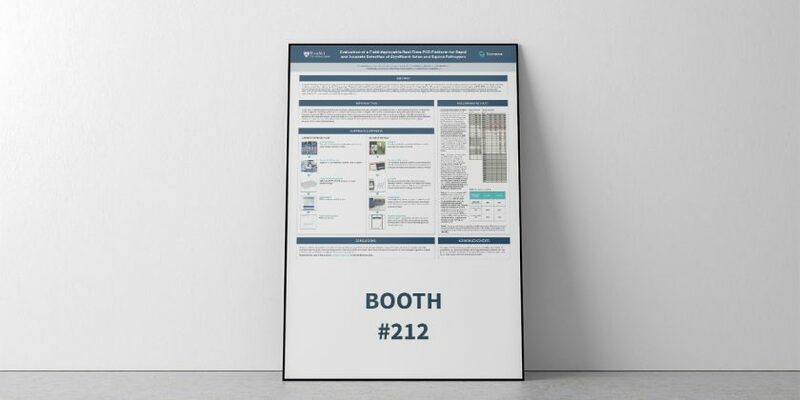 This year it’s taking place in Kansas City, MO from October 18 – 22nd, so stop by booth #212 to meet the Biomeme team and discover the future of mobile real-time PCR. Also — don’t forget to meet Heidi Norton, one of our senior biologists, when she presents her poster on “Rapid and Accurate Detection of Significant Avian and Equine Pathogens” from 3-4 PM on Saturday. She co-authored this poster with the University of Pennsylvania, School of Veterinary Medicine. Can’t make the poster session? No worries – download your copy here.